Where Are All The Heroines On TV? 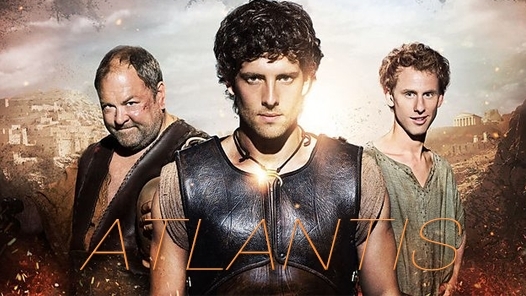 I’ve been enjoying Atlantis with my kids and both my son and daughter love it. They like the humour, the emotional drama, the action and the adventure. But I was sitting there wondering, what sort of message does this send my daughter? The female characters are either passive love interest or evil. Don’t get me wrong. I’ve got nothing against an all male lead cast. It’s great to see male friendships on screen and the stories are fantastic. But when it replaces Merlin (also centred around two male characters) and is followed immediately by a trailer for The Musketeers (need I say more? 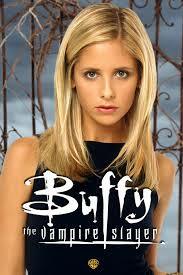 ), it does make you wonder, where the heck is the new Buffy? Have I really got to go back ten years (before my daughter was even born) to find an action heroine on my tv screen? I know, you’re going to tell me that there are plenty of all-female shows. Call the Midwife is a brilliant show and I’m as big a fan as anyone else, but when it comes to genres other than drama (action, adventure, fantasy, science-fiction, thriller) the women are almost absent. Valuing caring is hugely important; it’s a trait massively undervalued in our society, but that’s for another time. But not every girl wants to be a nurse. Where are the role models on screen, those lead characters, driving a show, that offer something different? Male led crime dramas: Sherlock, Ripper Street, Luther, Death in Paradise, The Suspicions of Mr Whicher, Poirot, Endeavour, Lewis, Shetland, Whitechapel, Foyle’s War, Midsomer Murders, Jonathan Creek, By Any Means, Murder on the Homefront. I’ve not included the brilliant Broadchurch because I honestly felt that the lead was split between the two detectives; one male, one female. So where’s it all going wrong? Are female-led shows being developed but just not getting the green light? It’s possible, though in my experience producers aren’t being offered those shows. Whether I’m part of an in-house development team getting scripts from the most experienced writers, or through Script Angel reading spec scripts from the next generation of screenwriters, the vast majority of scripts I see conform to the stereotype – the dramas (emotional) are dominated by female characters and the genre shows are dominated by male characters. So what’s the answer? Maybe producers need to get more pro-active; seeking out or specifically asking for shows that challenge that. But at the end of the day, it all comes down to you guys, the screenwriters. We need to change the diet on offer to producers and commissioners to force them to redress the balance. The under-representation of woman in genre television isn’t of course the only problem. Our representations of minority groups (sexual orientation, religion, colour) are woeful. It’s often argued that audiences prefer to see white heterosexual male leads but that, quite frankly, is bs. As Scott & Bailey has proved for female lead characters, Luther proves that a black lead doesn’t cause the world to end or even audiences to switch off in horror. If you encounter that argument – ignore it! Audiences predominantly watch white male leads because THAT’S ALL THEY’RE BEING OFFERED. Since woman make up half the population, why on earth are they not also the lead in half the genre shows on television? Whenever questions of under-representation arise, one of the suggested solutions is to write ‘blind’. By that I mean, create a rounded character that is defined by their personality and then decide their gender, ethnic background and sexual orientation. Whatever the means by which screenwriters create their original shows, my plea is for more female characters in genre shows now. The recent furore over the current EastEnders storyline has got me thinking about what it is that we want from a drama and why this story has caused such uproar. For me the power of great drama lies in its emotional truth and I wonder if that is where the problem lies in this particular instance. EastEnders has a great tradition of tackling difficult stories and doing so with sensitivity and integrity and no one is criticising the show for tackling the deeply tragic Sudden Infant Death Syndrome (Cot Death). As a mother of young children there was nothing more frightening than the idea of looking in on them wrapped safely in their cots when they were newborn babies and finding them dead. It is surely the most shocking and harrowing experience imaginable and EastEnders has every right to play such a story. I don’t have any problem with harrowing stories about babies and my understanding about the majority of complaints is that they too don’t have a problem with the Cot Death story. I vividly remember watching the superb ‘This Little Life’ when expecting my first baby and although I wept through almost all of it I had nothing but admiration for those who produced it and for the BBC for showing it. What some people (and it’s by no means certain what percentage of the audience those complaining represent) are finding unpalatable and unbelievable is the decision to use this story as a spring board for the much more rare baby-swap. I wonder if there are two issues causing this reaction to the baby-swap element of the story. The first is the emotional truth of the story. Having worked on returning drama series (medical and crime) and developing original dramas I firmly believe that drama should not be confined to the probable. As long as it’s possible then it’s fine by me. What follows, particularly when tackling rarer types of behaviour (murder, stealing someone’s baby), is the tricky job of getting the psychology right so that you take the audience with you and they absolutely believe that this character would have behaved in this way in these particular circumstances. In ‘Blue Murder’ we were telling the stories of ordinary people (not psychopaths) who were driven to murder. The hardest bit for me was always making sure that we believed that our character who had committed the murder would have done so in those circumstances. A huge amount of work went into character psychology and backstory in order to create the circumstances that would make the act of murder believable. I am in no doubt that the hard-working team at ‘EastEnders’ did the research and tried hard to create those circumstances. For some reason (and not having not seen every episode that Ronnie has appeared in I can’t be sure either way) it feels as if they haven’t quite managed to carry all of their audience with them on Ronnie’s journey from bereaved mother to baby-stealer. I am sure that many in the audience have absolutely been carried and firmly believe the truth of Ronnie’s behaviour but clearly for some her behaviour has broken that bond of emotional truth and consequently feels contrived and implausible. I also wonder if the other element causing such unease is the slight feeling that the show is using the Cot Death story simply as a means to play the baby-swap story. On a personal level, the combination of these two stories gives the impression that the show doesn’t feel that the Cot Death on its own is emotionally dramatic enough and so feels the need to ratchet up the drama. We should be applauding EastEnders for tacking Sudden Infant Death Syndrome and I’m sure the story will have helped to raise awareness of this tragic occurence. For me the furore reminds us of two important things. First that our audiences don’t watch our dramas passively but rather are emotionally invested and this is particularly true of returning drama series. The success of our dramas is down to that intense level of engagement. Second that as storytellers we have a responsibility to tell stories that at their heart have an emotional truth to them. It’s a tricky balancing act – too much insight into a character’s unhinged state and we signal where our story is going, too little and we won’t believe their behaviour. We should always remind ourselves that we make an emotional bond with our audience and if we play stories which break that bond we risk alienating the very people we seek to engage. However, self-censorship is a dangerous thing, we cannot please all of the people all of the time and we should never be afraid to tackle difficult and challenging stories. Be bold, be brave and be truthful. I was lucky enough to go to the Sitcom Mission Grand Finale earlier this week. All five finalists showed flashes of comedy-writing talent but one sitcom (Thunderer) was head and shoulders above the rest. It got me asking, why? What did they do right that others didn’t? Of course the obvious answer is, it was funny – every line was a gag, or at the very least the set-up for a gag. But more than that, it was brilliantly crafted and the characters were pitched spot on. Many of the pieces that night fell down because the characters were either so ordinary as to be impossible to laugh at or so big and monstrous that they didn’t feel real. Great sitcom characters sit somewhere in the middle of this spectrum. They are almost always monstrous and ridiculous but only every slightly so. Get it right and you’ve got Miranda, get it wrong and you’ve got Eric Slatt from Chalk (sorry Steven Moffat and David Bamber). We want to believe that our sitcom characters could exist in the real world, could actually get by and function. They should be characters we recognise, although never as ourselves, only ever as other people we know – ask any comedy writer and they’ll tell you that the people they’ve based characters on never recognised themselves! But if they are too ordinary they just aren’t funny. They need to be slightly larger than life (David Brent, Basil Fawlty, Hyacinth Bucket, Father Jack or Maurice Moss) with traits that we recognise but that are exaggerated for comic effect. I recently observed at a great sit-com workshop led by Green Green Grass writer Keith R Lindsay. Everyone loved creating new comedy characters but to begin with no-one was thinking big enough, their characters were believable but just too nice. It took the group a while to get the hang of just how exaggerated the characters needed to be in order to get any comedy out of them. Of course, there will always be the more understated comedy styles, exemplified currently by the brilliant Outnumbered, but for a studio sit-com the characters need to be exaggerated for comic effect and the gags need to come thick and fast. So when you’re creating your comedy character make sure you’ve pitched them just right so we want to spend time in their company, but just not too much time or they’d drive us mad!